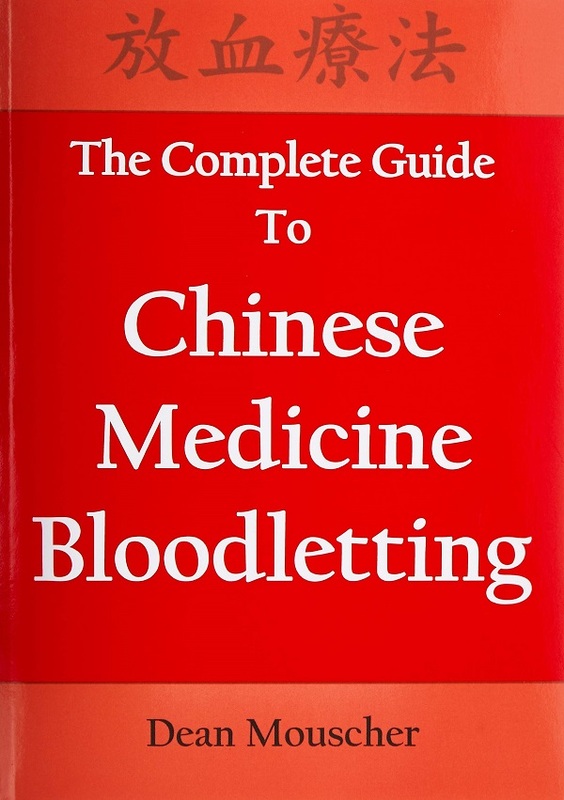 Bloodletting has long been known as perhaps the most powerful practice in Chinese medicine – the great Master Tung bled some 30-40% of his patients, including his toughest cases. 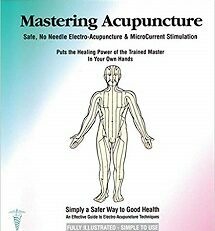 Dean Mouscher, a veteran acupuncturist with 17 years experience, Dean Mouscher is an internationally-recognized expert in Chinese bloodletting, with an emphasis on the bloodletting system of Master Tung Ching-Chang. 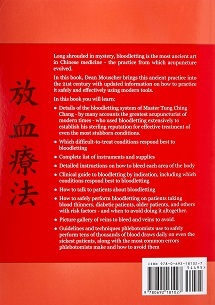 Dean has taught bloodletting seminars across the USA and webinars around the globe. 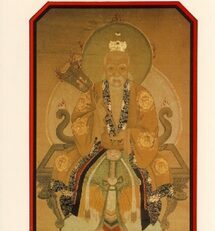 For many acupuncture practitioners, bloodletting is one of those lost arts of acupuncture practice – something that was mentioned at college, but little was ever taught about it. Bloodletting promises much in clinical terms, but up until recently has received little attention. 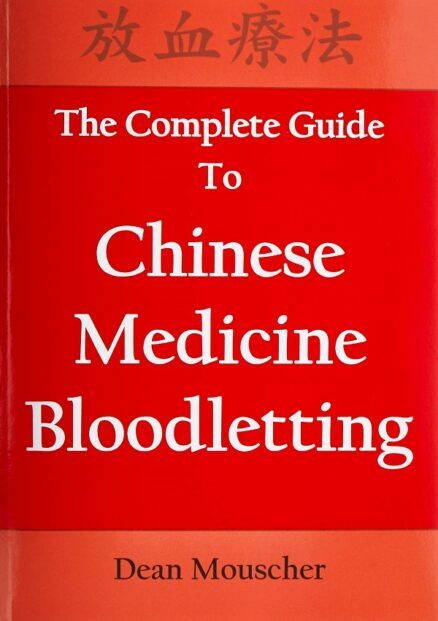 There are few texts on the subject and even fewer courses available on how to use bloodletting on patients. 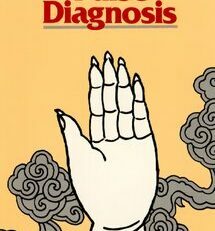 Mouscher’s text is a very practical clinical guide, with a minimum of Chinese or Western medical theory (although enough to understand what you are doing and why it works). 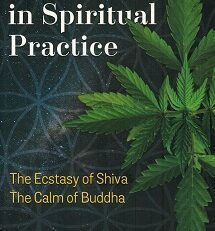 Henry McCann’s book on the subject, Pricking the Vessels provides a more in-depth look at bloodletting according to classical sources but has less practical advice. 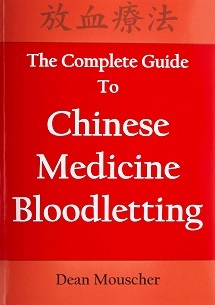 The goal of this book is to explain how to bloodlet patients safely and effectively, and thereby ‘reclaim’ bloodletting for modern clinical practice. 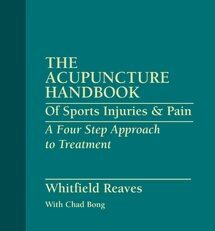 The clinical part of the book is broken down into descriptions of the three main areas of the body that can be bled and the conditions that can be treated. 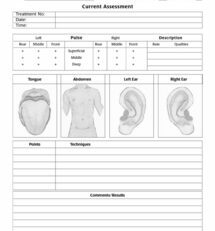 Identification of points on the back is based on palpation of specific areas that are considered ‘active’ when tender, and can then most likely be bled with good results. Bleeding the legs is based on locating and bleeding visible spider veins. 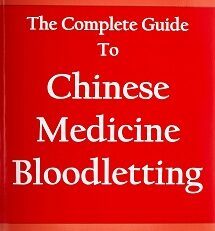 There are also plenty of case examples where bloodletting has been used successfully, which reinforces the clinical information in the book.